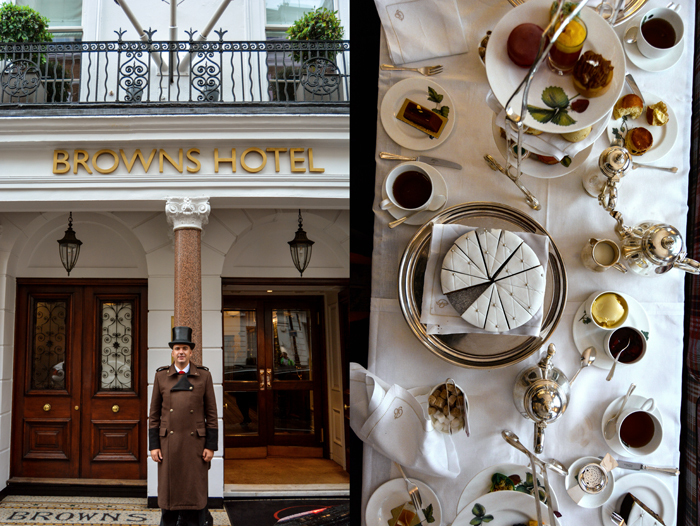 As soon as the charming doorman George opened the wooden framed glass door of the elegant Brown’s Hotel in the heart of Mayfair, I found myself in another world – in old Britain. 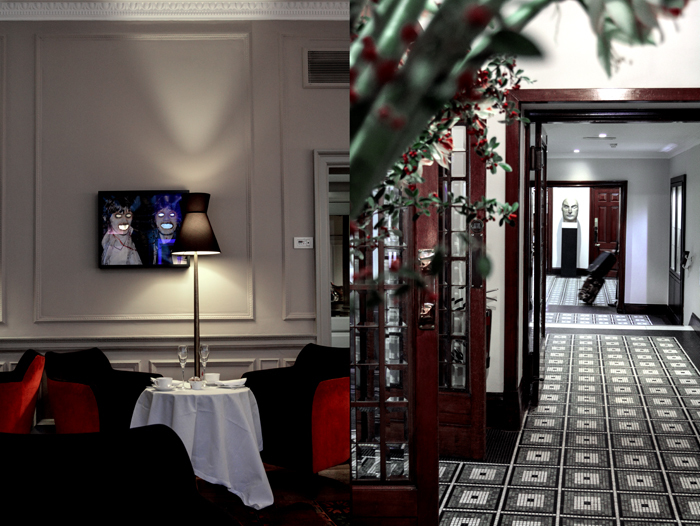 Brown’s is London’s oldest hotel, it was opened in 1837 by James Brown and his wife Sarah. It was here that the first UK telephone call was made by Alexander Graham Bell, President Roosevelt enjoyed the house’s quiet luxury during his honeymoon, and it inspired Agatha Christie and Rudyard Kipling to many of their novels. With no doubt, this house has a glamorous history. 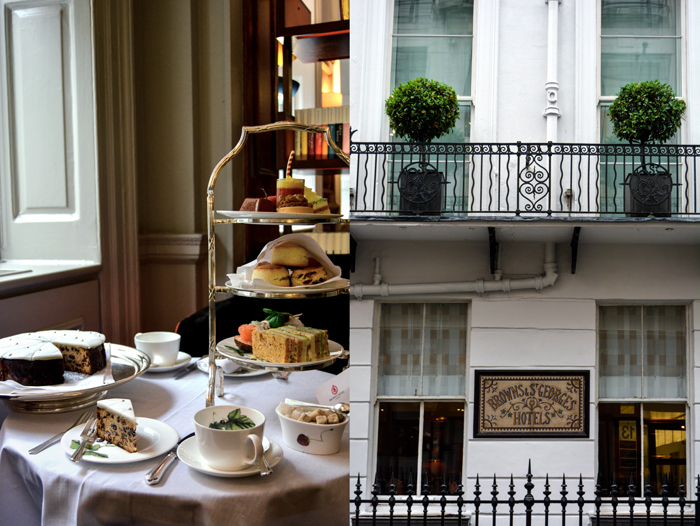 I celebrate my own little tea time at home every day, but for quite a while I’ve been in the mood for the complete English ceremony in all its extravagance at a traditional hotel in London. 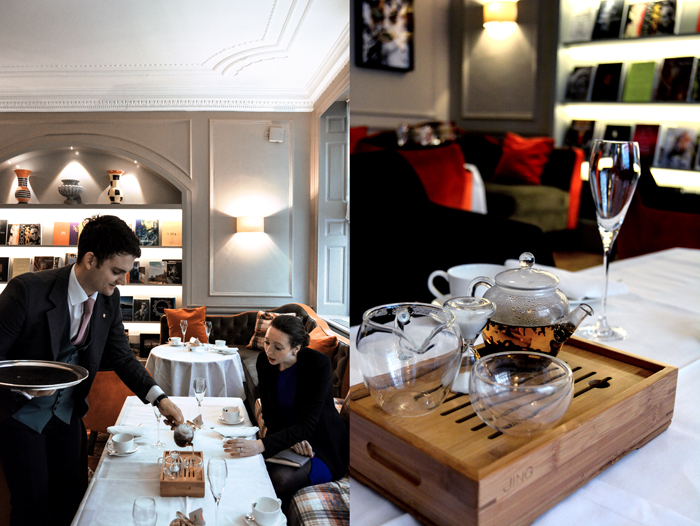 The stunning English Tea Room at Brown’s Hotel – renowned and awarded for serving one of the best tea ceremonies in the city – seemed like the perfect choice and I happily accepted an invitation by the hotel. 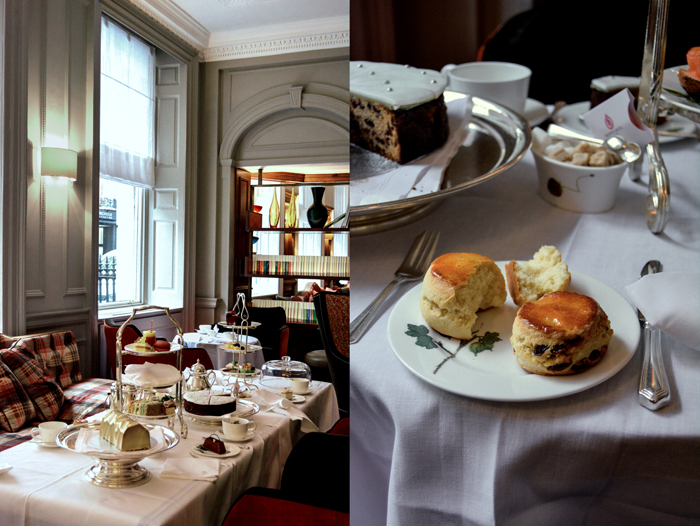 It was an unforgettable Afternoon Tea of almost Roman proportions. Sophie and her fantastic team at the hotel treated me heavenly from the moment I set foot on the hotel’s beautiful black and white mosaic floors. While I sat at a long table, decadently filled with delicate pastries, scrumptious scones with clotted cream and jam, delicious sandwiches, Christmas fruit cake and calamansi chocolate yule log, I got the chance to chat with Lee Kebble, the hotel’s Executive Chef, and Thomas Coly, the French Pastry Chef and the master of one of the best scones I’ve ever eaten in my life. Thomas Coly stole my heart with an outstanding Mandarin Chestnut Tart and a fine composition of blood orange and saffron – and of course, with his French charm. He learnt under the guidance of Alain Ducasse and praises his strict regiment in the kitchen. Thomas follows his patron’s culinary philosophy: Respect the produce and focus on just a few dominant flavours, three at most. If you work with a ripe peach in the kitchen for a composition, you should be able to see a peach in your mind’s eye with your first bite. The French chef misses his family in Toulouse but he loves the diversity of food in London where the culinary landscape is influenced by so many cultures from all over the world. He sees his role as a chef as that of an ambassador, to present his guests with the best produce, transformed into delicious dishes in his own style. Very British but with French finesse, like his scone recipe which Thomas graciously offered to share with us. My splendid tea ceremony started with an introduction to the tea room’s selection of 17 teas by a tea sommelier who helped me with my choice: the fine Jing’s Gong Fu Tea. I also tried a few nibbles from the Tea-Tox, the healthy sister of the traditional afternoon treat, and although I don’t mind dairy and sugar in my own diet, I enjoyed these treats just as much. But in the end, Thomas and I agreed that butter, eggs and sugar cause too much fun in the kitchen to cut them out of our lives. When Lee Kebble came into the room I was more than impressed by his calm and kind nature, he seems like a rock in the kitchen. Leading a brigade of 24, he takes care of the famous HIX Mayfair restaurant, The English Tea Room, The Donovan Bar, private events and in room dining at the hotel, and despite all my expectations, he doesn’t come across as a man who needs to raise his voice. He spreads an aura of confidence and competence, which is easy to trust. Lee’s love for food started early, at the age of ten, when he used to meet with a friend on Sundays at one of their houses to cook extravagant meals – such as Coq au Vin – for their parents, with recipes from their personal bible – the Hamlyn cookbook. His own kids seem to follow his passion, they already love their family tradition of baking pancakes or waffles with their dad on Saturdays, or preparing pizza, bread or homemade pasta together. 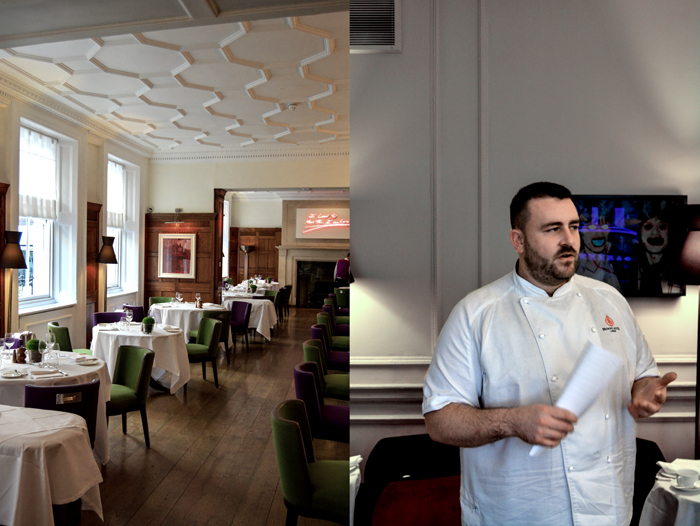 Lee learnt in the kitchen of the award-winning chef Anton Edelmann at The Savoy who had as much of a strong influence on his cooking as Mark Hix. 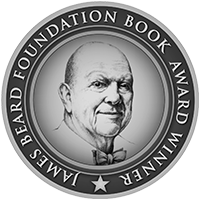 He says he was thrilled by the vibrance of restaurant kitchens since he first stepped in at the age of 16. Mark Hix introduced Lee and his team to a special tradition that is held in the kitchen every two weeks: His suppliers fill a huge table with the best seasonal produce and Mark himself cooks and experiments with it all morning. He then invites the chefs from all his restaurants to compete with him in a 20-minute-cooking challenge. This way, they develop new recipes, learn from each other and evolve their skills. When I asked what happens to the unlucky ones who have a bad day or can’t work under this kind of pressure, Lee gave a very British answer: “Their food will go to the staff’s table, and that’s also where they’ll have to sit”, and laughed. I love the British! 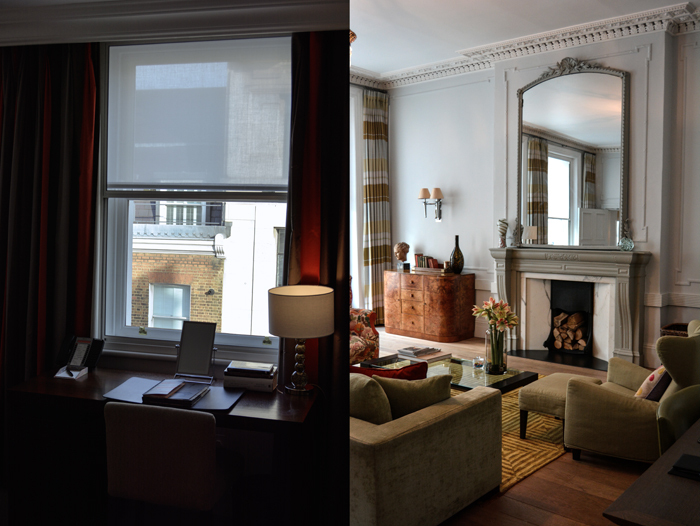 The five-star Brown’s Hotel is one of ten Rocco Forte luxury hotels, and a stay in this house located at one of the city’s most prestigious addresses is one of those special treats that you should allow yourself once in a while, even if it’s just for one night. It’s the kind of luxury that puts your mind at ease and let’s you relax immediately. The hotel’s wonderful team does an excellent job of fulfilling all your wishes – even the ones you weren’t aware of. Thank you Sophie, Lee, Thomas, and the rest of the Rocco Forte family! Mind that the dough for the Brown’s scones has to rest twice, for 4 hours, before you can bake the scones in the oven. In a large bowl, combine the flour, salt, baking powder and sugar, and beat in the butter with the dough hooks of an electric mixer or rub it in with your fingers. Gently mix until just combined. Slowly pour in the milk and mix with the dough hooks of an electric mixer, mix in the sultanas (optional) before the milk is completely mixed into the dough. Leave the dough to rest in the fridge for at least 2 hours. Roll the dough on a floured surface to a thickness of 2 1/2 cm / 1″. Flip the dough upside down and cut the scones with a round 4cm / 1 1/2″ cutter. Transfer the scones to the lined baking sheet, leaving space in between for the scones to rise. Brush the top of the scones with half the egg wash and leave to rest for 2 hours. Brush the top of the scones with the remaining egg wash and leave to rest for 5 minutes. Bake the scones for about 8 minutes, then turn the tray and add another 6 minutes, or until golden brown. Enjoy warm. Lee, you’ve been working with renowned chefs since the beginning of your career, first under the guidance of Anton Edelmann at The Savoy and now with Mark Hix at Brown’s Hotel as the hotel’s Executive Chef. What are the most important lessons you’ve learnt from these two mentors? Firstly, with Anton Edelmann I developed a passion for food that wasn’t very prominent as I embarked on my career. At 16 I had no idea of what to expect, but was very quickly wrapped up in the atmosphere of The Savoy Hotel kitchens and especially in the presence of Anton Edelmann himself. Under his guidance I learnt and perfected classic culinary skills, but most importantly the respect for ingredients in their storage, preparation and cooking. This philosophy and care will never leave me. Working with Mark Hix has had a major impact on my career. The philosophy of food has a massive impact on the way I cook. Also working with Mark and his team has taught me a lot about organisation and developed me in areas that are generally not taught in other kitchens. The structure and organisational systems that are in place have helped me tremendously over the last 8 years. Mark has a different view of what is happening in every situation and it has been amazing watching and learning the thought processes he uses. 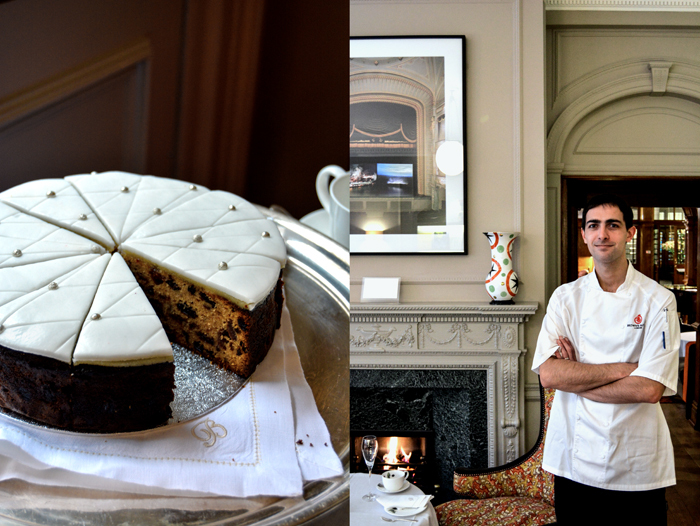 Thomas, being the Head Pastry Chef, you’re also responsible for the sweet treats for one of London’s most famous Afternoon Teas at The English Tea Room. What’s so fascinating about this old English tradition? The Afternoon Tea is the showcase of an English tradition and is an institution, which is being realised with different interpretations. The concept of Afternoon Tea is fascinating, you can spend time as a couple, with family or on business, by being relaxed. I am personally proud to represent this tradition. What are the main differences between working in the kitchen of a hotel or a restaurant? Lee Kebble: Working in a hotel is an ever changing environment. There needs to be control over every outlet, at all times. The structuring of this is very important to ensure consistency over every area. That’s where the fun is in hotels though. 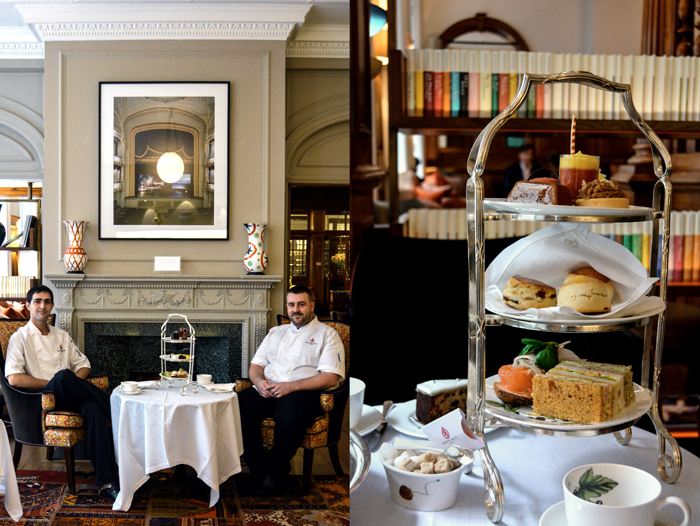 No two days are ever the same, there’s always a request, a bespoke event, an afternoon tea promotion to look after. I think that in a restaurant you have what’s in front of you and the focus can be very clear, on the opposite hand in a hotel you have many angles to channel that focus. Thomas Coly: Everything, the organisation, the quantity of production and the flexibility. What do you love about the British cuisine, sweet and savoury? Lee Kebble: I love the energy in British cuisine now, the demand chefs are putting onto UK suppliers to source and grow produce that has previously been ignored and left for our friends all over the world. The whole style is taking on a new approach and shedding the heavy, stodgy image of the past and pushing the boundaries with fresh, light and modern techniques using new ingredients. This really applies to sweet and savoury. I like the foraged and wild ingredients popping up, for example sea buckthorn which has allowed us to have desserts that mirror passion fruit and citrus flavours. Thomas Coly: I’m French and like most French people I used to have a bad vision of the British cuisine, but I discovered, in England, we have excellent products. Lee Kebble: Our philosophy is all about seasonal and local produce. At HIX Mayfair we only use British produce. Elsewhere we use a more international array of ingredients but still keeping to the seasonal core values. Thomas Coly: It’s very important, seasonal first and foremost, to make use of the products at their peak, when the quality is best, and local because we are the ambassadors of British food and it’s our duty to represent and show all the local products to ours guests. 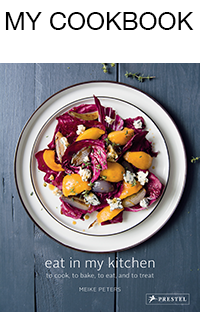 Lee Kebble: Our suppliers are the true inspiration for our recipes and ideas. It all starts with them and we take their ingredients or products to where we want. They provide the sparks that create menus, keeping us at the forefront of seasonal changes and new / un-used products. Then secondly, the Hix team provides a huge and important part of generating ideas and working on new recipes. We have a bi-weekly challenge where we all cook for 20 minutes as many new and experimental dishes as possible, alongside Mark Hix. From here menus can be written, dishes tried and developed for later dates. Lee Kebble: My family, no one in particular but all were equally supportive when I decided to take on a profession that was unknown and unheard of in past generations. Once I was in the kitchen it was Anton Edelmann and the Savoy kitchens that stoked the fire for me. I always remember my first week. I watched the sauciers working away in awe and knew I wanted to be like that. Thomas Coly: My biggest inspiration in the kitchen was Alain Ducasse and his chefs with whom I learnt respect and sensitivity towards the product. I think it was my nanny when I was a kid who used to cook everything fresh, I still remember her making jam in the morning during my breakfast. Lee Kebble: Coq au vin from the Hamlyn cookbook. Each week when I was around 10, a friend and I would go to each other’s houses and cook for our parents. The Hamlyn cookbook was our bible and we tried many of the recipes. Thomas Coly: The first dish I cooked was an omelette with my dad. My first cooking memory is when my mother baked a tart on a Sunday afternoon, it was amazing. Lee Kebble: Be prepared for hard but extremely rewarding work. Adopt a can do attitude. Work with a smile because if you love your job you will never do a day’s work in your life. Thomas Coly: My advice for those who want to become a chef is to have a passion above everything as it’s a very hard job and without the passion you can’t do this for sure. Lee Kebble: I have always had a soft spot for Borough market and often go picking up goodies to cook for friends and family. Here, there is a real array of producers and treats to feast on. Other than that, I enjoy many varieties of restaurants. I like fresh and exciting flavours. Lee Kebble: My Mum and it would have to be Christmas dinner! She makes the best! Lee Kebble: Lots of salads, probably homemade breads. I cook in the garden for most of the year so something from the BBQ is always on the go. Lee Kebble: There’s a family lemon cheesecake recipe that was always the winner when I was younger, only ever for special occasions. Nowadays just simple seasonal fruits at their prime. You really can’t go wrong when at their peak. Lee Kebble: I always involve my children as much as I can with cooking. I try to teach them to make pizza and homemade pasta. We bake a lot of fresh bread at home and it’s good to do this together. Lee Kebble: There is fun in all aspects here. Sometimes the best meals are created with minimal ingredients at short notice. On the other hand there is such a reward in planning and executing a meal that has been carefully created. Lee Kebble: Anything with tripe, sorry it’s just not for me. Thank you Lee and Thomas! i do not know of and just googled this “sea buckthorn” plant. great questions. great photos. great article. it was such an insightful fascinating read, meike. not to continuously kiss your bum or anything, but i really did feel as if i was reading a publication in one of my food arts mags at the bookstore. “butter, eggs and sugar cause too much fun in the kitchen to cut them out of our lives” <– made me giggle 🙂 "focus on just a few dominant flavours, three at most" <– i tattoo'd that on my brain just now. thank you for sharing your moments with us. i will definitely shelf the above scone recipe for some future test kitchen love. gotta know inquiry: what kind of cake is that right under the scone recipe… the one with the fondant topping. do you remember? i went to the link and read the menu, but did not see it. or maybe i missed it?!? help a girl that is now blinded from hunger after reading that dope menu. It’s an English Christmas fruit cake, it was a bit softer and daintier than usual English fruit cakes, not as dense, but Thomas, the pastry chef, is French after all 🙂 I loved it and took a couple pieces home with me in a box. 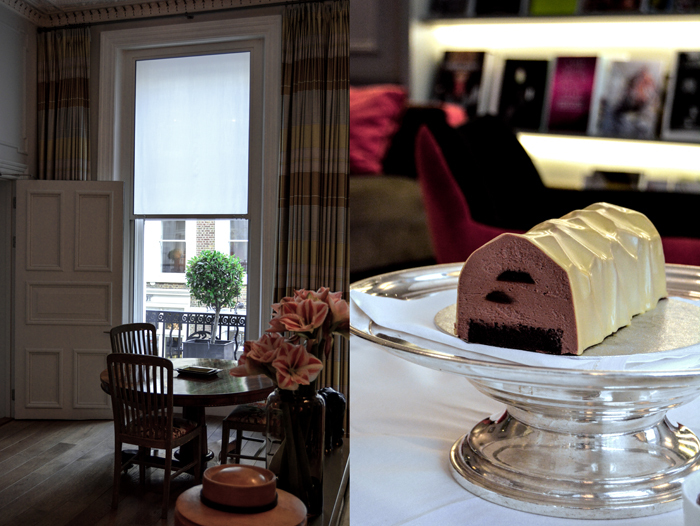 What a beautiful hotel and yummy, delicious looking pastries/cakes! I really want to visit this place. London has my heart.